Neither the Brazilian central nor the Galician striker have exercised with the rest of his teammates. The Galician has a sprained ankle and is low "for the next matches." Gabriel Paulista is doubt and Santi Mina, low safe for next Thursday's match against the Celtic of Glasgow. Neither has exercised with the other teammates today at the Ciudad Deportiva. The Galician forward underwent medical tests that have determined that he suffers a sprained ankle and is low "for the next matches" . Gabriel Paulista suffers since Friday and caused them to lose the match against Real Sociedad. The possible absence in Glasgow of Gabriel Paulista joins the insurance of Facundo Roncaglia, which carries a penalty in Europe from his stage in Celta de Vigo. In contrast, Marcelino recovers to Diakhaby, absent in the last three matches of Valencia for his sanction of four games for the incidents at the conclusion of the cup match between Valencia-Getafe. 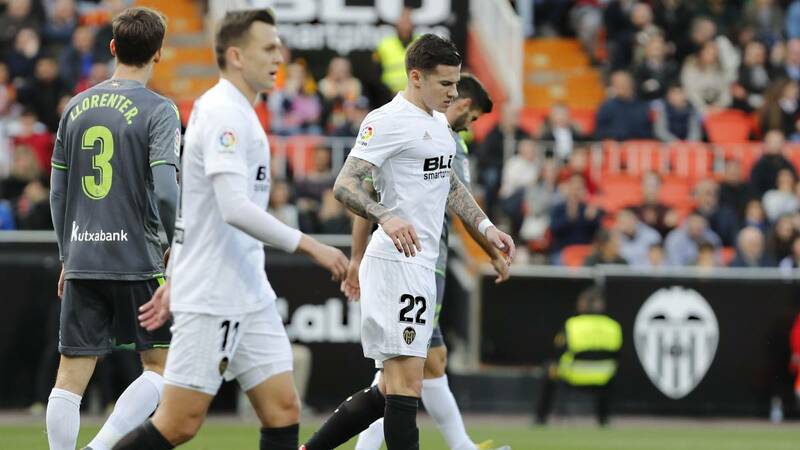 Santi Mina, on the other hand, is low "for the next matches" according to the medical report issued by the club. "According to the tests carried out on Monday morning, the player Santi Mina presents a sprain in his left ankle post traumatic, which will prevent him from being available for the next matches." Pending evolution, reads the medical statement of the entity that does not specifies the number of matches that the Galician can miss.